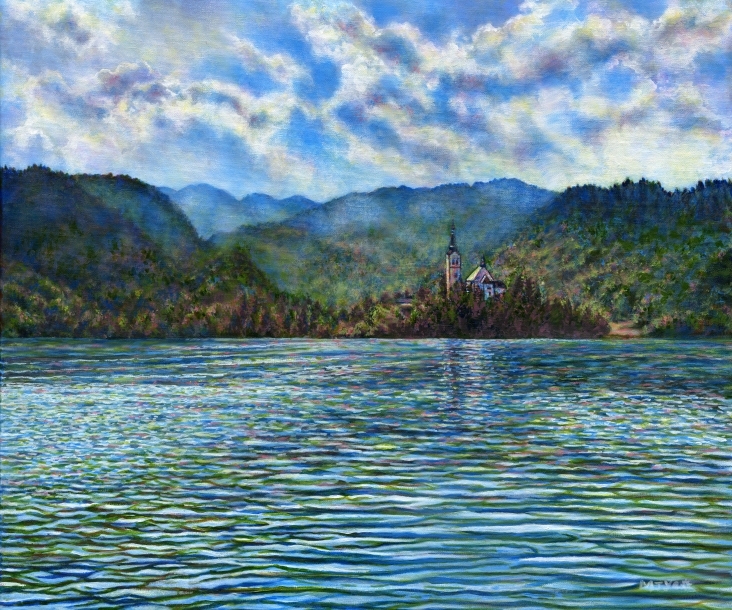 The weather was hot, bright and sunny when we visited Lake Bled in Slovenia. The blues of the sky and the water, and the glittering reflections were startling. The warm clear water was an important feature while we were there, with my son wanting to swim in every bit of water we visited. So I've made the water the largest part of this painting and spent a lot of time on it. It's all water but it doesn't look the same all over. My husband likes me to paint places we've been on holidays to remind him of them, so rather than painting this in an expressive style, I've painted it in a 'straight' representational way as a visual record.